This guest post from Carl is about improving your cooking. You don’t have to be a classically trained chef to make good meals! Just a heads up, this post contains affiliate links too! Thanks. Well, you don’t have to be a professional or go to any classes to get knowledge on improving your cooking skills overnight. There are several different ways of how you can easily enhance your cooking skills quickly at your home. We have come up with these amazing tips to help you ease and make you a better and efficient cook. Let’s have a look. Cutting, dicing and chopping are probably the most important part of the cooking process. These are the basics and foundation of cooking spectacular dishes which you must learn to be proficient at. Often people tend to hold them and manage the knife in an incorrect manner which effects the cooking as well. Hold the handle tight and grab the blade in a manner that your index finger and thumb lay on the side of the blade. This will give you a better grip and resilience of the knife and allow you to work well with it. Ingredients make or break any dish and many times people tend to not put enough focus into this factor. Always cook the food with the best and fresh quality ingredients to get the best possible output. Using quality ingredients will enhance your cooking skills to a whole new level. Always remember that your hands are the ideal and most efficient tools to use in the kitchen. Hands are the most sensitive of tools that gives the accurate estimation of things like how tender is the meat or how well is it done. You can use your fingers to press and check the food and its temperature. Salt is the most important ingredient for your recipe and needs to be put in the right amount. It is a very sensitive ingredient and hence a little notch here and there can create a very huge impact on the dish on itself. So taste your food and maintain the right balance of salt in it to get the best flavors out of your cooking. This is a mistake we all tend to make. Crowding the pan makes the food taste bland and mushy as it doesn’t get enough space to get cooked through evenly. Hence the taste of the food gets ruined as well. To avoid that, put ingredients in the pan in a manner that you can see the bottom of the pan as well. This will allow the flavors to enhance better and taste good. Cooking is a true form of art and needs a lot of dedication and practice as well. 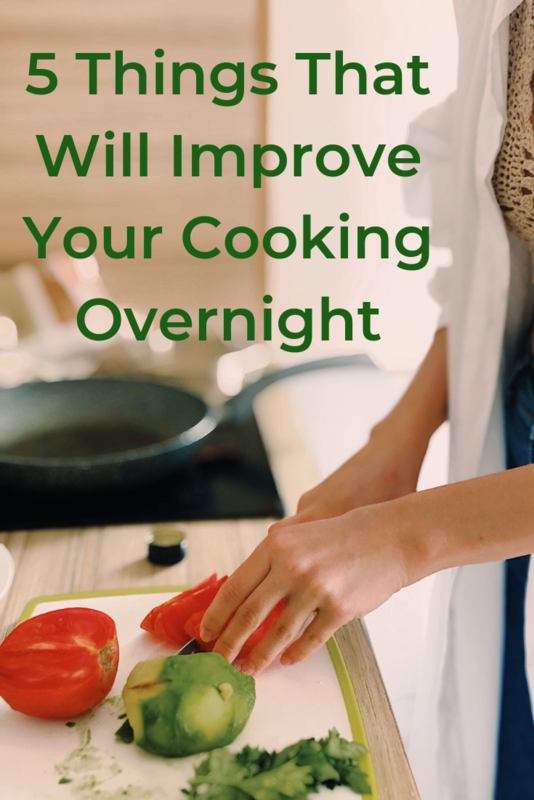 With a little hard work and practice, you can improve your cooking skills to a great extent overnight. These above-listed tips will surely help you to bring that improvement in your cooking and help you become a professional in no time.